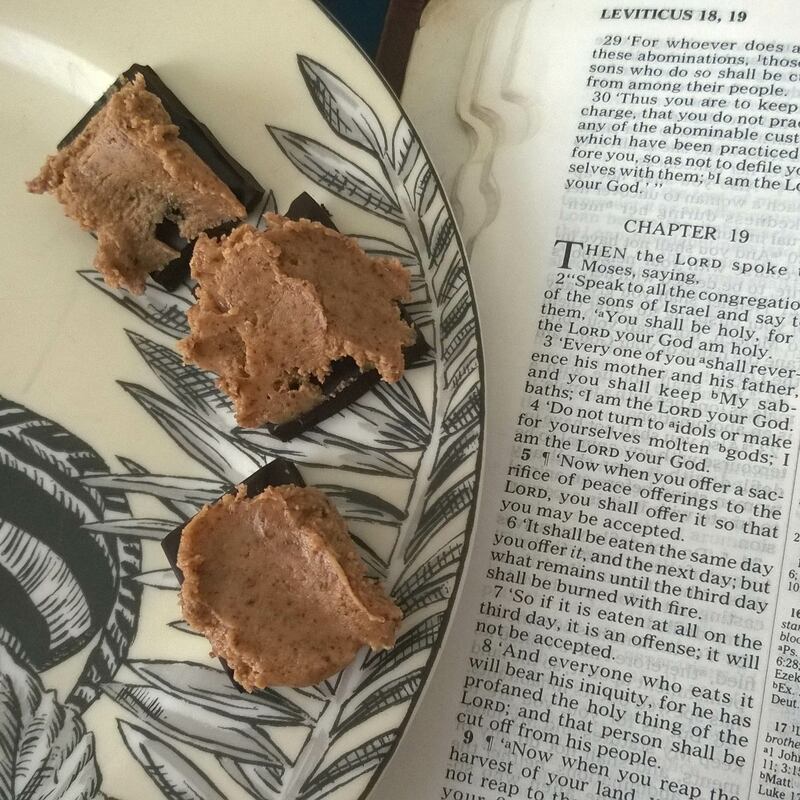 Today on our Sabbath study, we have a grab bag of Sabbath mentions from Leviticus. The first one in the English translation doesn’t even have the word “Sabbath” in it! Leviticus 2:13 contains the statement “The salt of the covenant of your God shall not be lacking from your grain offering.” See that phrase “shall not be lacking?” That’s a form of the Hebrew verb shabath, “to cease.” The salt don’t stop, y’all. This doesn’t really shed much light on the practice of keeping the Sabbath day, but it does occur to me: the religious use of salt adds a new layer to Jesus’ words about salt losing its taste in Matthew 5:13. It’s not simply a secular seasoning; the Jewish grain offering puts it to sacred use as well. An ordinary thing takes on a holy dimension–until it loses its flavor. Leviticus 19 starts with a quick summary of three of the Ten Commandments, in the context of God’s holiness. Moses is instructed to tell the people, “‘You shall be holy, for I the Lord your God am holy” (19:2). The Sabbath gets a one-phrase mention, “you shall keep My Sabbaths” (19:3), alongside the commands to honor parents and abstain from creating or worshipping idols. Resting one day a week, as this verse points out, was a key way that the Hebrews as God’s people distinguished themselves from the nations around them, and today it can be a way of setting ourselves apart from a 24/7 system that produces anxiety and voraciousness in its endless, uninterrupted production cycles. After all, that’s what holiness means: to be set apart. Leviticus 24:5-9 contains instructions on how the priests are to bake their bread and set it out. The instructions note, “Every sabbath day [the priest] shall set it in order before the Lord continually; it is an everlasting covenant for the sons of Israel” (24:8). Apparently setting the bread in order does not constitute work; so much, then, for the bread. Leviticus 25:2-7 contains agricultural instructions on giving the land a Sabbath year. It states, “You shall not sow your field nor prune your vineyard. Your harvest’s aftergrowth you shall not reap, and your grapes of untrimmed vines you shall not gather…” (4-5). Again, I’m no farmer, but I’m not sure how this Sabbath year for the land is supposed to work without rotating the areas of land that are taking their Sabbath. If the whole nation of Israel took a year off from maintaining their fields across the land, I can’t expect the yield would be enough to feed everyone, especially if the Sabbath year coincided with a dry spell or other cause of famine. How did this work in practice? Question of the Day: Seriously, how did this work in practice? Posted in Leviticus, Sabbath, Topical Studies.Tagged bible, christianity, commands, holiness, Jesus, Judaism, Leviticus, Matthew, Sabbath, scripture.